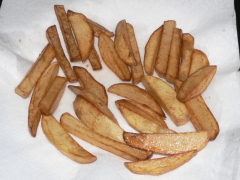 Fries used to be cooked in beef tallow. They were crispy golden pieces of goodness. 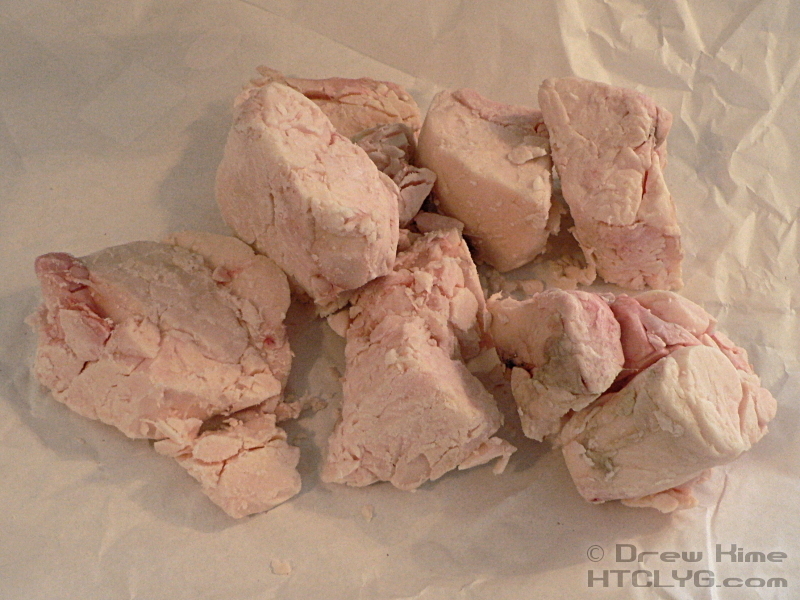 Restaurants liked tallow because they could use the same tallow for a month as long as they didn’t burn anything and they kept it clean. Then the food police decided frying in beef tallow was bad for us. Ask them for the medical studies proving any connection between animal fats and heart disease and all they have is a study where they force-fed rabbits — vegetarians without the ability to process animal fats — a diet of powdered animal fat. If you think the result of that study were obvious before they did it, you don’t understand how medical research funding works. Funding, right. Who funded that study? If you guess that it was the people who made vegetable shortening, then you do understand how medical research funding works. So for the past century we’ve been frying in vegetable shortening. The fries don’t taste as good, so restaurants add chemicals and artificial flavors to the fries and the shortening. The oil goes rancid quickly and has to be changed every day. But before they change it, they’re frying in carcinogens. You know, the stuff that causes cancer. And even if you manage to keep it from going rancid, it’s still 100% trans fat. And now the food police have realized how bad trans fats are, so everyone is scrambling to find a replacement. The same people who gave us bogus studies in support of vegetable shortening are now giving us new formulations of processed vegetable oil that look pretty much like animal fats. 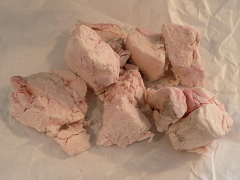 So after decades of trying to replace beef tallow, it turns out the best thing for frying is … beef tallow. And if you know what to look for, you can still get it for home use. 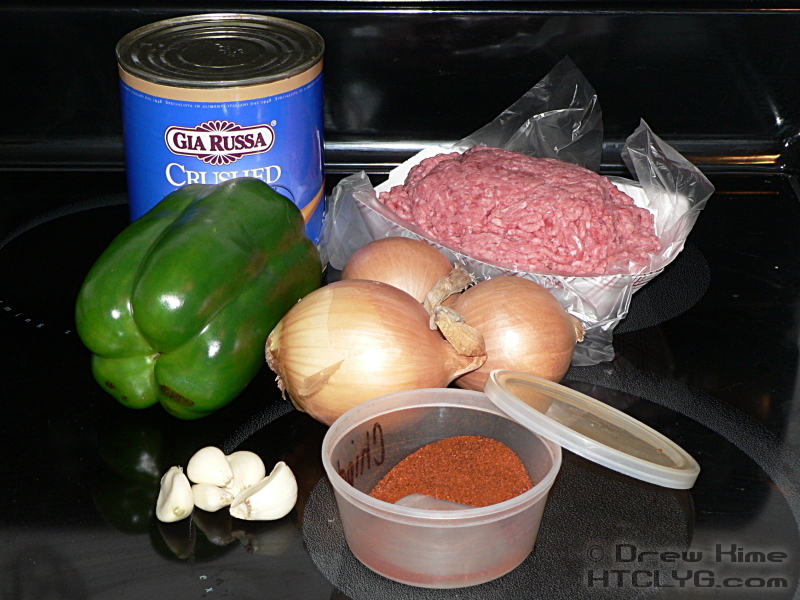 Following are directions for rendering tallow from beef suet, then a simple chili recipe for topping the fries. Although to tell you the truth, these fries are so good it’s almost a shame to top them with chili. 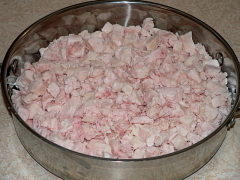 Start with three pounds of suet. You can get it from your local butcher. They probably won’t have it at the grocery store. You would think from looking at it that this would be a flabby, sticky, greasy, nasty mess. It’s actually very dry, stiff and waxy. You don’t want to handle it too much or it can start to melt. Keep it in the fridge until you’re ready to start cutting and it should be fine. Dice everything into pieces about a half-inch square and put it all in a deep pan. The one in the pictures is an 11-inch pan. 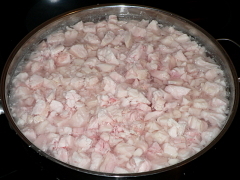 Three pounds of suet filled this pan about two inches deep. Fill the pan with enough water to just barely cover all the suet. If you compare the photo above to the previous one you might think it looks much more than “barely covered”. You would be right. Suet floats. Fill slowly and pay attention. Put over high heat until the water starts boiling, then turn down to medium. 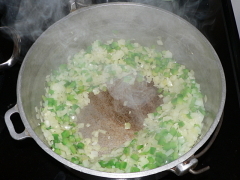 Cook until the water is boiled away then turn heat to low. By this point you should have lumps of mostly-rendered suet floating in hot liquid fat. 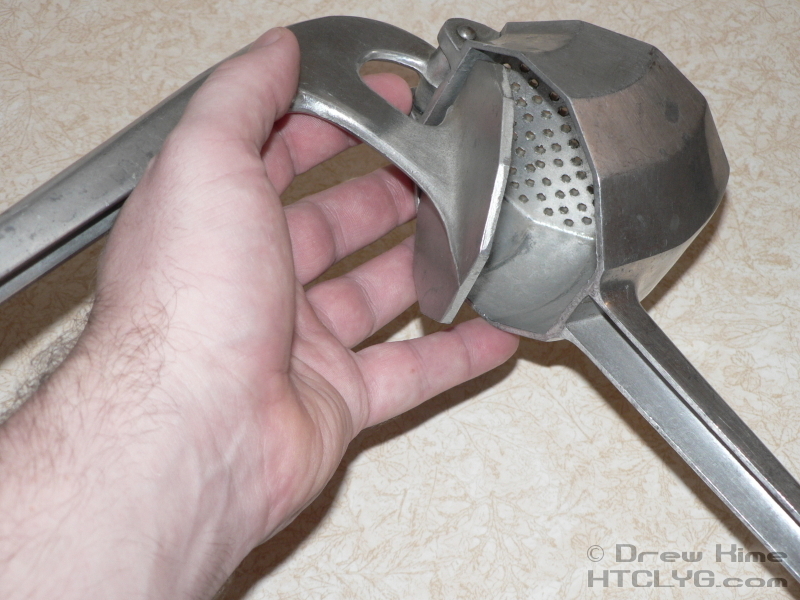 Set a second large pan or pot next to the first, and place a colander in it. Place a paper towel in the bottom of the colander, or line it with cheesecloth. Using a slotted spoon, scoop the floating suet out and into a potato ricer. If you haven’t seen one of these before, it’s just like a garlic press but much larger. It will take quite a few loads to get everything through the ricer. 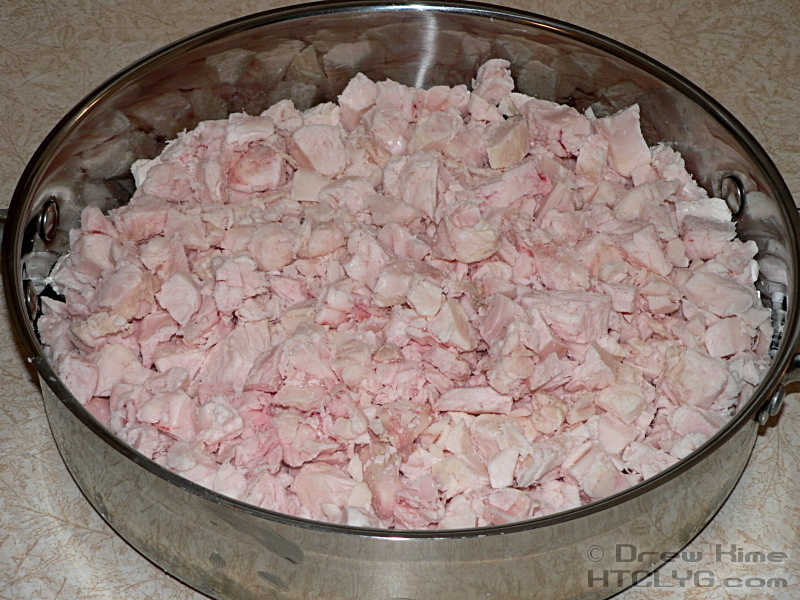 Squeeze the suet out into the colander, then scrape the remains out of the ricer, also into the colander. 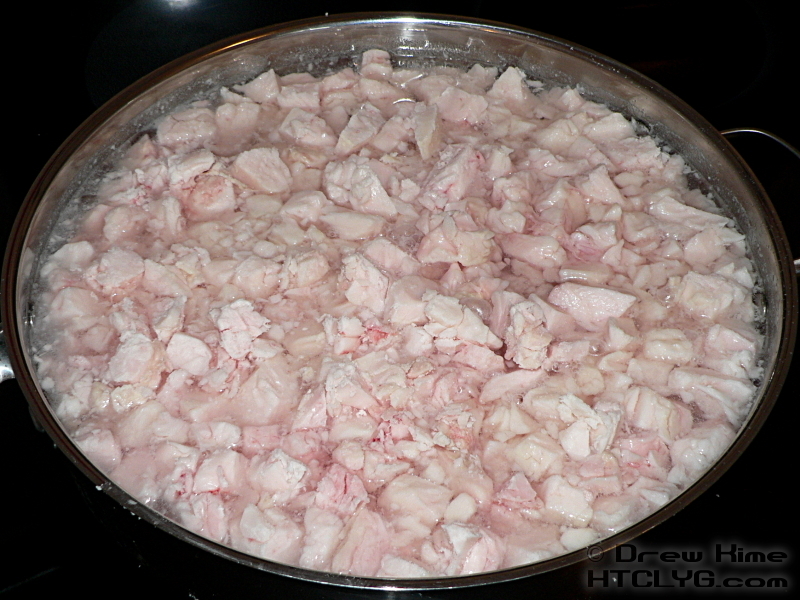 Once you’ve processed all the chunks through the ricer, press the fat through the colander with the back of a spoon. Remove the paper towel and all the scraps left in it and dispose of them. Put a clean paper towel in the colander and pour the fat from the first pan through it. NOTE: You’ll be working with extremely hot fat, which can cause serious burns. Don’t try to do anything else at the same time … like take pictures. Yep, I took a break from shooting pictures. I didn’t want a repeat of the tempura flounder incident. Next time I do suet I’ll get help with the camera work. Dice the onion and pepper fine and mince the garlic. 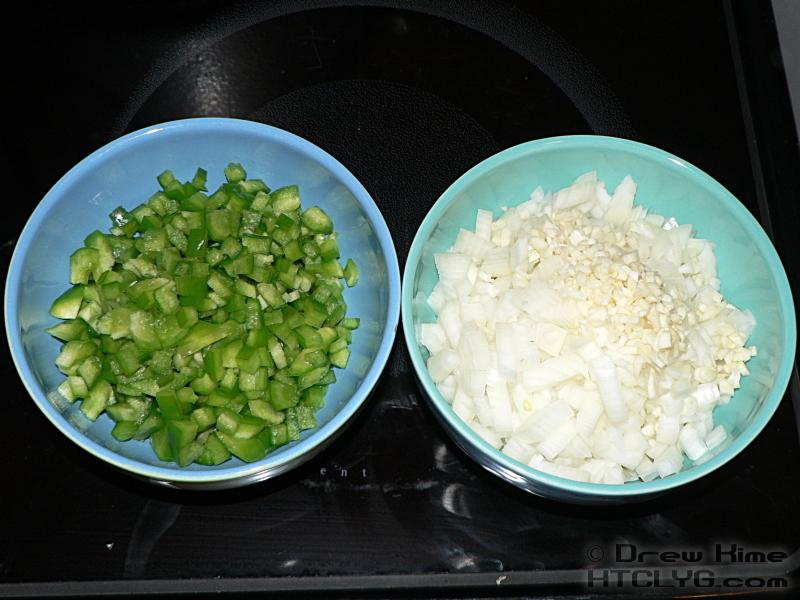 Since this will be going on fries, you don’t want huge chunks of veggies like I would normally do in my chili. Sauté the onion, pepper and garlic in the bacon fat over high heat with some salt until the onions start to caramelize. (That means they’re starting to get a little brown around the edges.) Push the veggies to the side so the hot center of the pan is clear. Add the ground beef to the space in the middle. 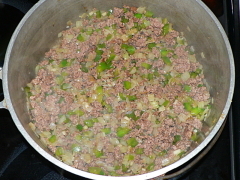 Add more salt and pepper and cook, stirring occasionally, until the beef is browned. 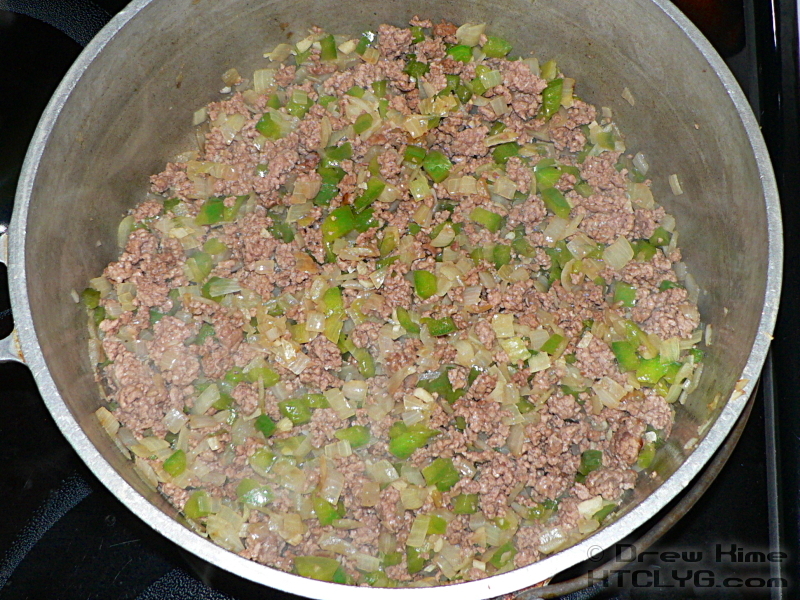 Add the crushed tomatoes, stir well, then turn the heat to low once it starts bubbling. Add the chili powder to taste. If you like mild, go with ancho chile powder. It’s sweet and smoky with barely any heat. For more heat go with chipotle — roasted jalapeño. Or you can go with a pre-mixed chili powder. Cut the potatoes into wedges, square-cut sticks, whatever shape you like. You can even mix and match, as long as everything is about the same thickness. Rinse the potatoes in cold water. If you want them to be extra fluffy, soak them for up to a half hour in cold water. 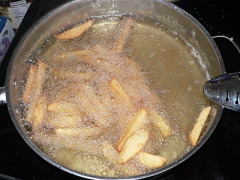 The extra moisture will steam out as the potatoes cook, producing a lighter texture under the crispy crust. Don’t crowd the pan. You don’t want the oil to cool off, or the fries will get soggy. Once they reach a deep golden color, darker around the edges, scoop the fries out to a plate covered with one or two paper towels. Once they’re all done, add a coating of popcorn salt. 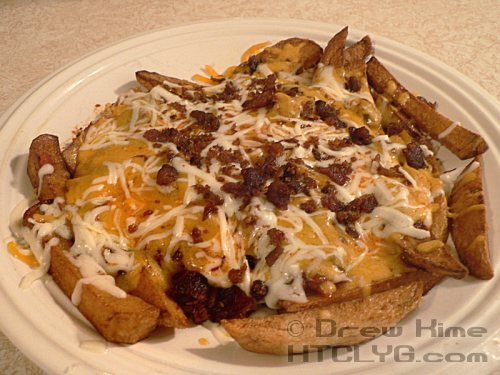 Put a single layer of fries on the plate, add a scoop of chili, a handful of cheddar and mozzarella, and a topping of bacon. Give it a quick hit in the microwave or under the broiler to melt the cheese. 1) Medium potatoes are about the size of a baseball. Since russets are oblong, that means these should be a little longer than a baseball is but not as big around. 2) You can usually find popcorn salt in the snack aisle with the popcorn. It is ground finer than regular table salt, so it sticks better to snacks like popcorn and French fries.